Nozoil® Nasal Spray from McKeon Products, Inc. proves to be more effective than traditional saline sprays, as consumers with dry nasal mucous membranes experience less nasal problems after using Nozoil®. 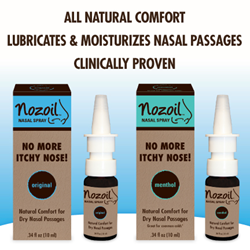 Nozoil® provides a natural, drug-free remedy to moisturize and condition the delicate and sensitive nasal passages. 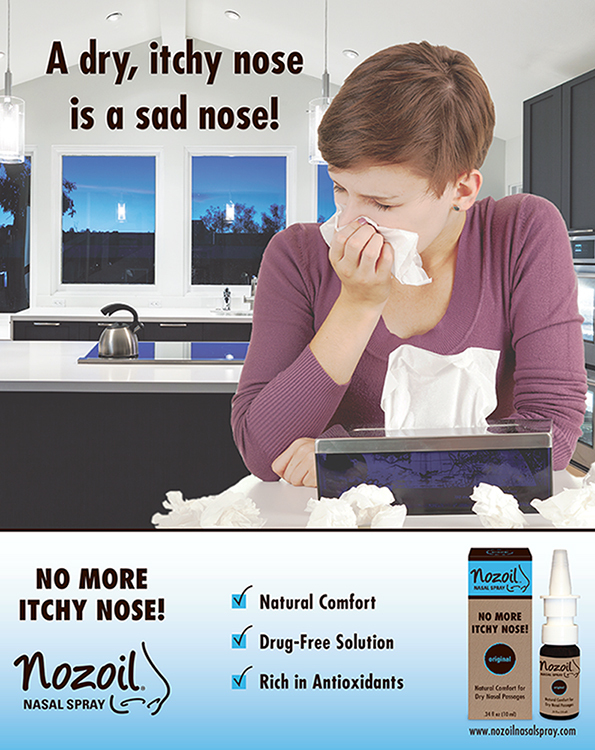 Nozoil® provides a natural, drug-free remedy to moisturize and condition the delicate and sensitive nasal passages. This clinically proven formula uses 100% pure sesame oil, rich in antioxidant Vitamin E, which is supportive in reducing the destructive effect of free radicals. Free from allergy causing proteins, Nozoil® lubricates and moisturizes while providing relief from itchy and burning sensations. Nozoil® application is simple and provides an effective solution. Nozoil® is available in two different formulas, Original and Menthol. Menthol has all the benefits of the Original variety, and provides a cool sensation for nasal airflow, great for those suffering from the common cold. Both varieties help support the body’s natural defenses and are ideal for relieving the effects of allergies, illnesses, and dry environments. Nozoil® is just being launched for the first time in the U.S. by McKeon Products, Inc., makers of Mack’s® Ear Plugs. Today, McKeon manufactures a full range of health care products for consumers, including moldable and pre-molded silicone and foam earplugs for all your hearing protection needs. The Mack’s® line of products also includes ear drying aids, earwax removal aids, nasal devices, sleep masks, musicians’ ear plugs, ear muffs, and screen and lens wipes. McKeon, an ISO 9001:2008 quality certified company, is committed to supplying the highest quality, innovative products at the lowest possible price.